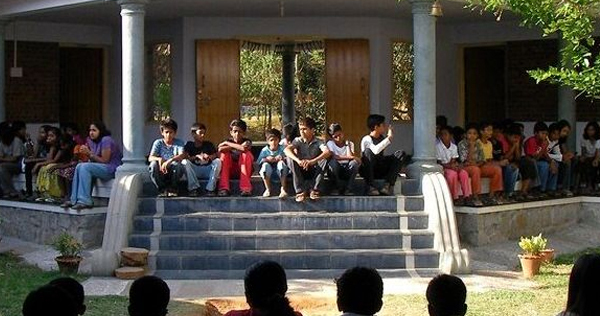 Satsang Rural Vidyalaya located in the hilly hinterlands of Ma Konda behind Satsang Nagar, was revived and reopened by The Satsang Foundation, in association with the Ramanarpanam Trust (DRRT) in 2012. 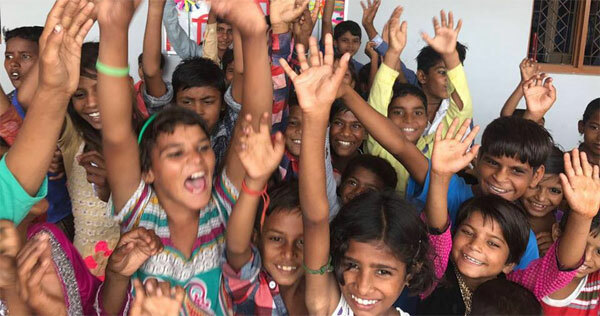 There are a total of 42 children now studying in the school. Accordingly the children are nurtured in a multilingual environment, where Telugu and Hindi are also taught along with English. The Satsang Rural Vidyalaya which had a completey community based curriculum till the last academic year has now embraced the formal academic curriculum by the State Government. The school caters to children from standard 1 to 7. 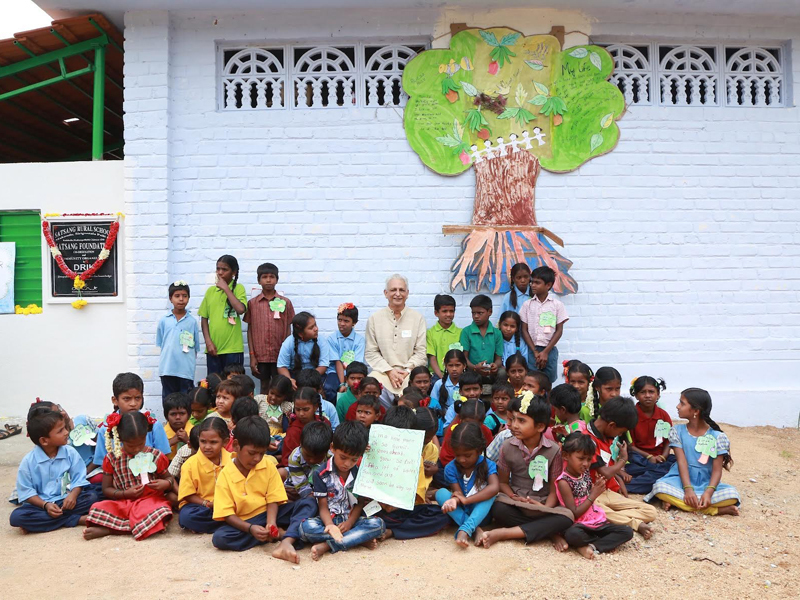 After this, the children will continue their education in The Satsang Vidyalaya, Madanapalle. The challenge in the shift remains in trying to balance mere text book learning and only examination oriented teaching demands of the formal systems with fun learning activities, evening visits to homes and families where even some rights and values based community classes are held. The Satsang Rural Vidayalaya children come from the remote villages from rural areas spread out in a 20 kms radius in the Makonda hills. Their families work as landless labourers, small farmers, vendors, coolie workers, and construction labourers in the nearby town of Madanapalli. The children travel to Satsang Rural Vidayalaya by the single public bus that reaches their villages in the early morning hours and returns in the evening hours. 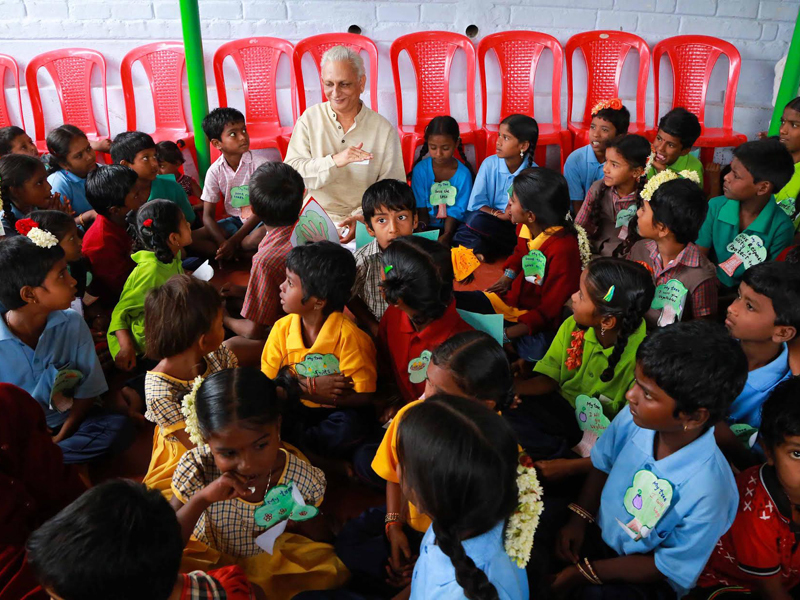 The medium of instruction is English, and Telugu and Hindi are also being taught. 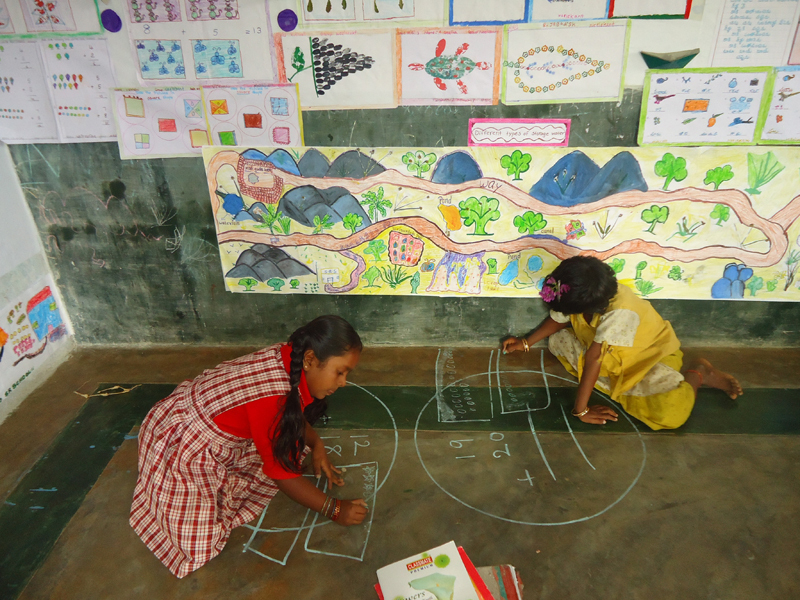 Maths is taught with an emphasis on concept development and science and social studies are not only covered as subjects but a thematic relevance linking it to their experiential learning is also emphasized upon. The staff of DRIK Patashala, a similar institution established a decade ago in Chittoor, constantly train, review, and handhold the SRS facilitators on evolving the community driven thematic curriculum. A committee of Satsang Foundation members have also been supporting the vision of the Satsang Rural Vidyalaya. Satsang Rural Vidyalaya and the Ramanarpanam teams continue to be inspired and motivated in creating an environment of self-development and promoting a sustainable model of leadership development at the Satsang Rural Vidyalaya.